It’s been a while since our last update on RIPPLE, our 1925 Berthon built West Solent Restricted Class (otherwise known as Lymington One Design (LOD) or West Solent One Design (WSOD)), as there have been numerous other projects in the yard requiring our skills on obviously priority work. She’s beginning to look more like a yacht with every day that passes, the topsides are now half planked with the new Alaskan Yellow Cedar, and we now have some new production drawings for the deck beam construction work which is being altered to coincide with a later 1939 amended sail plan drawing showing the mast stepped further aft. As a restricted class this is allowable and will make the boat more balanced and hopefully less wet to sail. The owner of ARROW, WSOD#1, having been privy to various rig iterations from naval architect Simon Rogers (again commissioned by Berthon), has already deck stepped his mast in this position and has confirmed our (and my great grandfather’s!) initial thoughts. Wooden boat naval architect Paul Spooner is now helping us with the newly positioned bronze knees and rigging straps to support the altered shroud positions and these will be fitted soon after the main hull bronze work is finished. 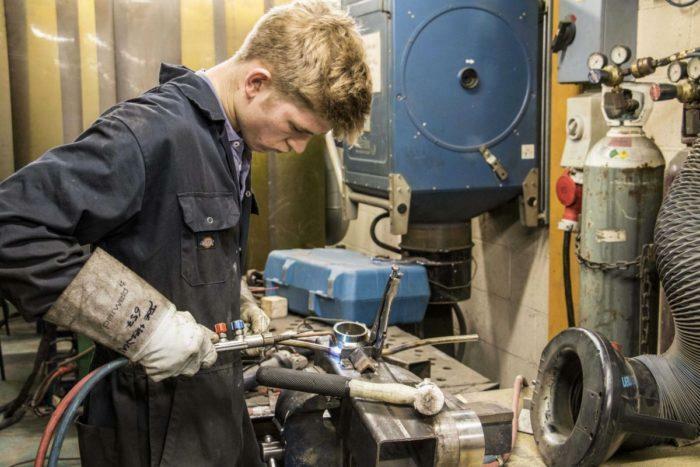 Keeping the apprentice training theme to the fore, Jo Hewin (below photos), in his final fourth year, is taking the opportunity to hone his fabrication skills in bronze overseen by seasoned skilled hand, John Gale. 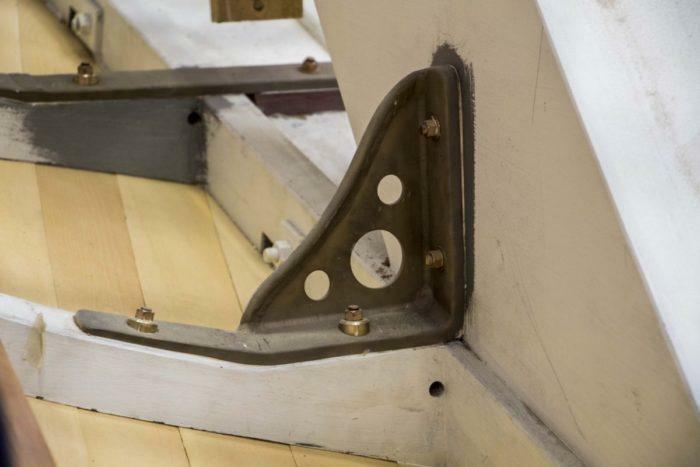 The webs of the centreline floors and rudder box supports (Figure 7) have been fashioned from 6mm plate, and a heavier gauge 8mm plate has been used for the flanges that sit on the face of the frame to take the loads off the keel bolts and frame fastenings. A 15mm diameter bronze rod has then been added to the web to prevent buckling, by being heated up and bent into shape to run along the top of the main plate (see figures 2&3). 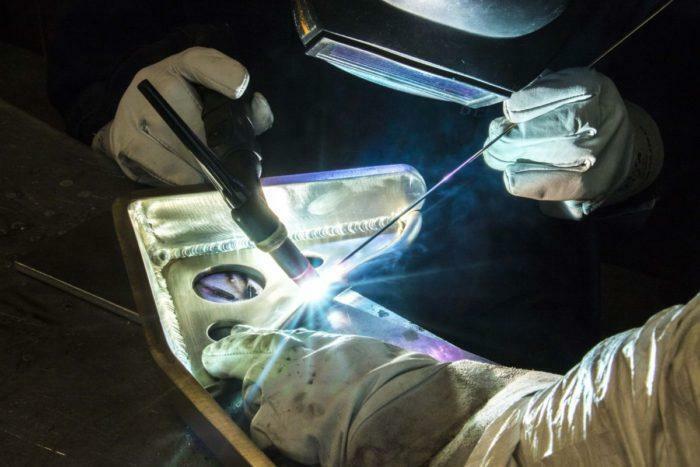 As with all other replacement fabricated parts on the project lightening holes are carefully cut out of the larger and heavier plates to save weight while also keeping the strength and structural integrity of the bracket. 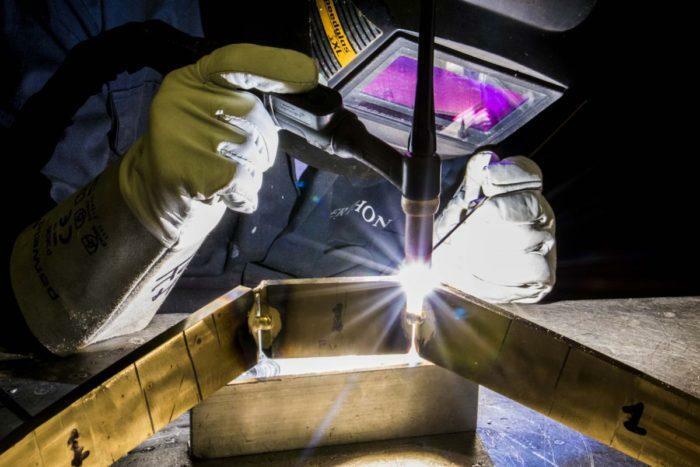 For the construction of the floors and supports the decision made was to fabricate rather than to cast or other methods; this is an important departure from other “tried-and-tested” techniques which enabled us to tack weld the component parts together and then to check for the perfect fit on the yacht before making any necessary adjustments thus not only ensuring a perfect fit but also providing very valuable on-the-job training. Once they had been properly fitted the floors were fully TIG welded before being bolted into place. 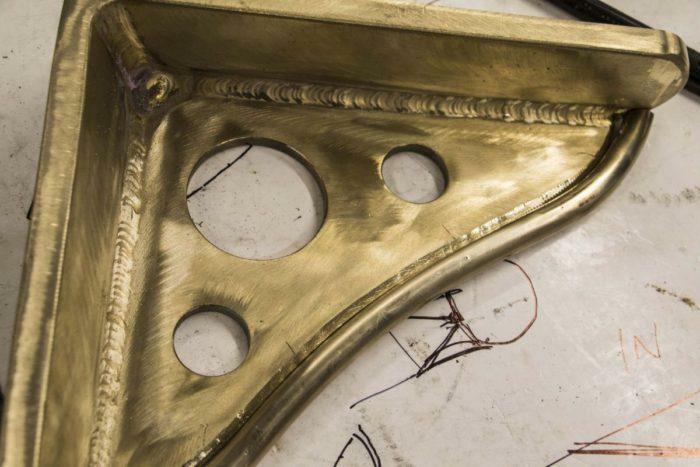 The new bronze plate floors and supports provide a significant increase in strength over the original iron strap floors and will help to not only strengthen the whole yacht’s structure but also keep the keel securely attached to the hull with the increased loading from the “new” 1939 rig. Figure 6 is centreline floor at frame zero (forward-most), whilst Figure 7 is the rudder box floor looking aft with the vertical supporting the rudderbox (See red floor in figure 1 inset). Find out more about Berthon’s marine apprenticeship programme and how to apply. 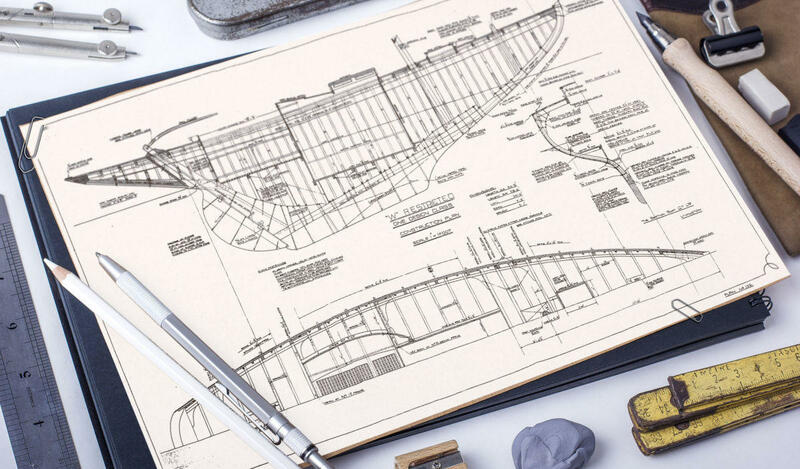 Berthon applications open in January each year and you can apply though the Berthon Jobs page.